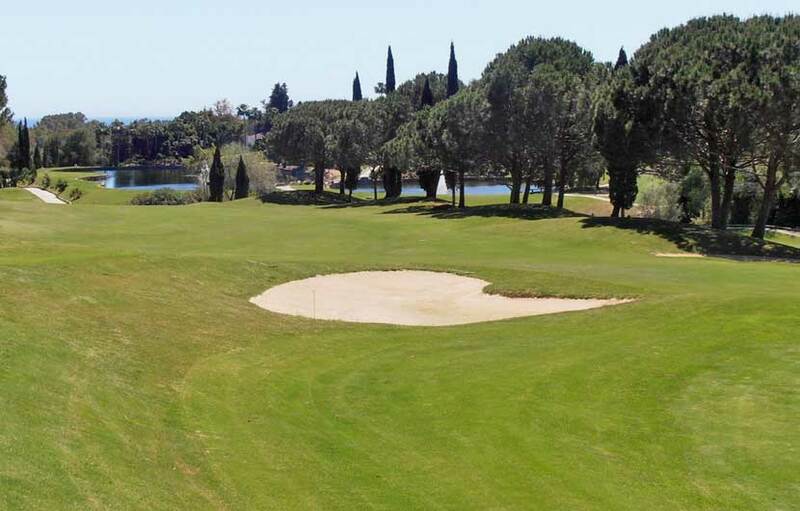 Santa Maria golf is one of the most popular holiday golf courses on the Costa del Sol on the coast situated conveniently between Fuengirola and Marbella with easy access off the main road. The course suites high to medium handicap players. 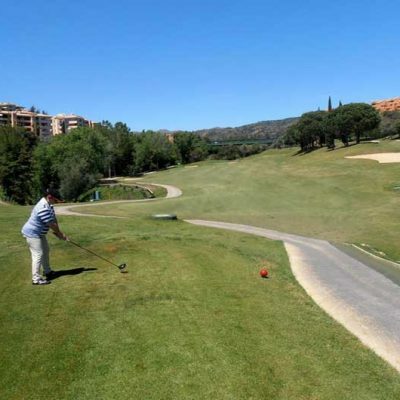 It’s quite short and is one to try and fit in at the beginning of your tour as most of the group will come in with a decent score. The first nine were designed by Antonio Garcia and the second which is a little wider by the clubs technical team. 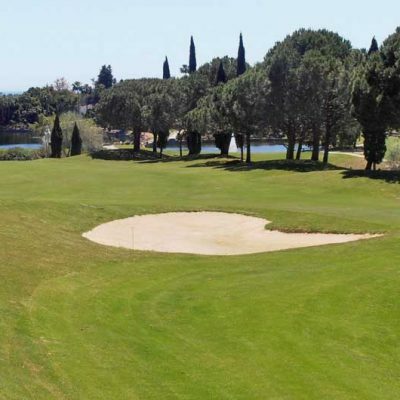 Due to its popularity many visiting golfers choose Santa Maria Golf as part of their golf package holiday, because of this the course can often be quite busy during the high seasons which can sometimes make for a slower round. 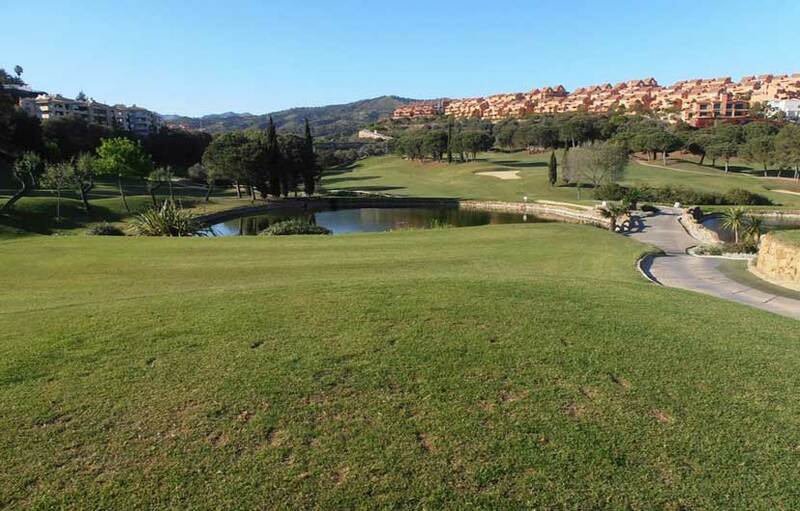 On your way out two holes have a nasty climb up to the green and a steep path from the 5th green to the 6th tee is a difficult walk even for the fitter golfer, apart from that the front nine is pretty easy to walk. 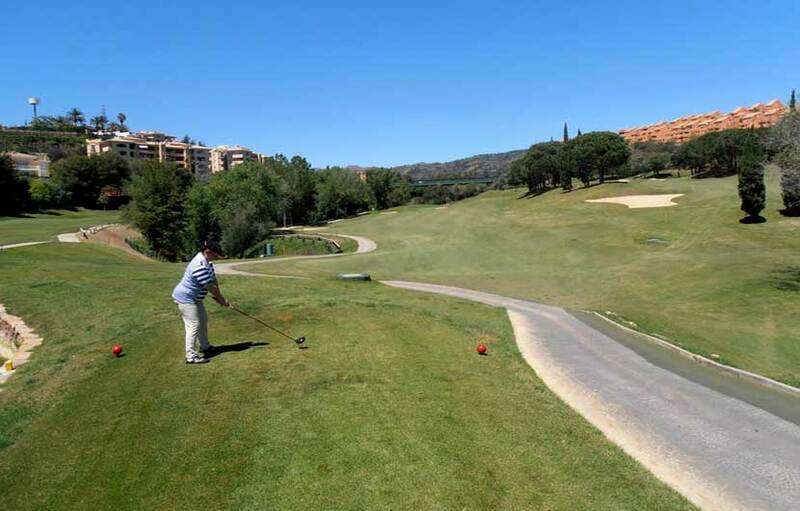 There are a number of water hazard on the course which adds to its difficulty. 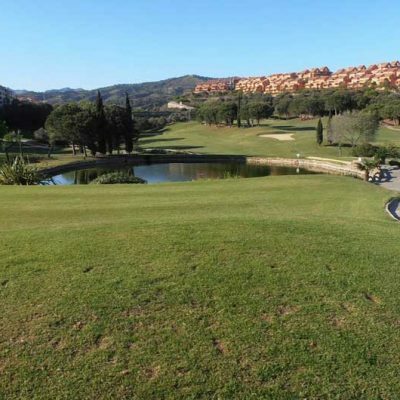 Signature holes include the dog-leg 8th hole par 5 which needs a good tee shot to make the dogleg, your second shot needs to be straight as there is water running down the right – which can’t always be seen from the fairway plus it is out of bounds on the left. Favourite hole for the longest drive is the long par 4, 16th hole, nearest to the pin is definitely the short 15th with a bird’s eye view of the green from the natural terrain.